Now with so many options for wallpaper, it may seem more simple or less exhausting to just throw some paint up on your walls. 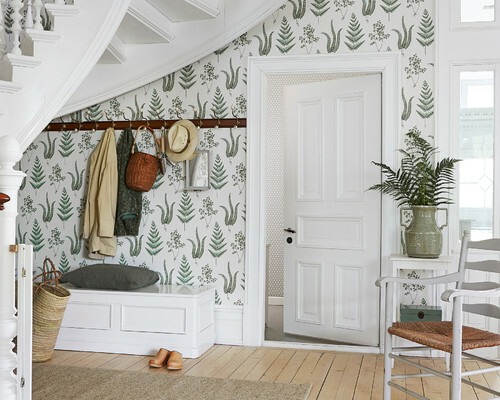 But with these five ways to wallpaper your home, narrowing down your preferences can be the key to moving forward with that textured, shiny or printed wallpaper. 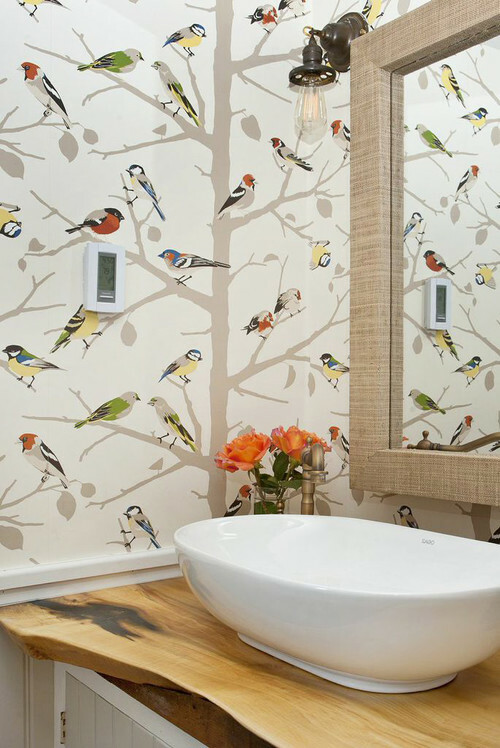 It’s no surprise that we found a bird-patterned wallpaper to include on this list. Birds are excellent motifs to use in your home because they can be quite versatile, complementing farmhouse, modern, industrial and Victorian styles (and others). The colors in this example are great; they are actually colors you may see on birds in the wild, and the gray tree trunks enhance visual appeal without overwhelming the eye. Plus, birds can be wonderfully charismatic, even as a pattern on your walls. Especially if you’re searching for something different to adorn the walls of a kitchen, closet, powder room or the little wall space around a doorway, a bold pattern can make the entire space stand out. Take a look at the kitchen below. 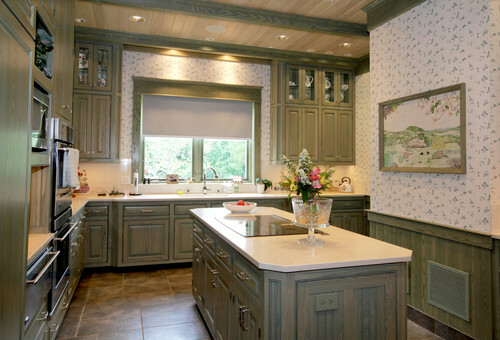 The uniform cabinetry is made more classic by pairing it with a wallpaper with plenty of attitude. The black background also opens up the space, making it seem a little larger than it is, while the greenery and blooms contribute cheerful colors to the room. Sometimes prints and patterns can look completely different when put up on multiple walls, so if you aren’t as willing to risk that happening, go for a more perfectly coordinated look. Match the primary color(s) of the room with the color(s) in the patterned wallpaper, and try to keep the number of colors in that pattern to less than three. Or, you can try a more customized route and get a wallpaper that perfectly matches upholstery, linens or both in a bedroom or living room! Using a muted color or pattern on your walls can still bring plenty of style to a room. Especially if you plan on wallpapering every wall, soft colors, or one color, can make any pattern blend beautifully into the room. 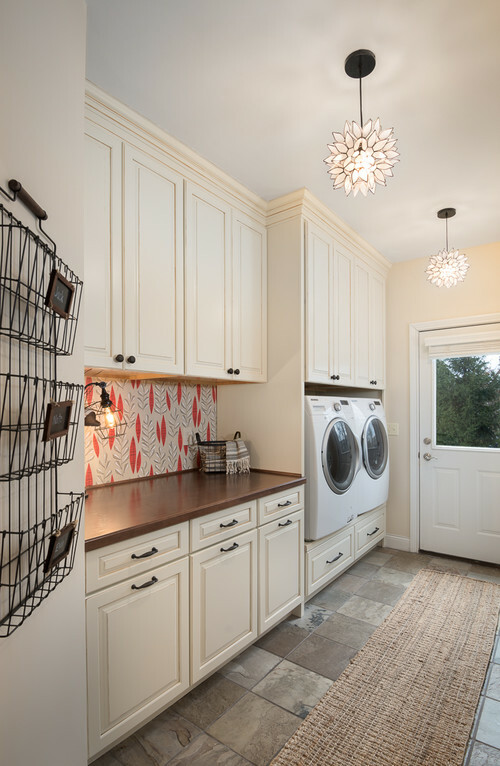 This technique is ideal for a room that doesn’t necessarily need any decor or art, like a laundry room or utility room, but could still benefit from a little personality. Using a small amount of wallpaper, or even putting it on 1/3 of a wall, can offer a room more style while not taking the attention away from other elements or furniture in the room. 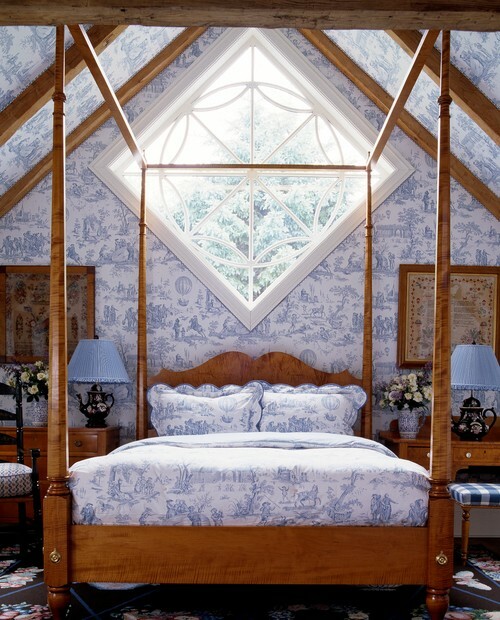 How have you used wallpaper in your home? Share your stories and ideas in the comments below! There are many ways to decorate the walls of your home, and sometimes rearranging wall art, photos, decorative accents or even painting can offer a fresh look in a room without too much work. Here are some blank wall solutions for when you find yourself in a decorating rut. Wallpaper has had its ups and downs in home decorating, but using it, like any other home accent, is all about personal preference. 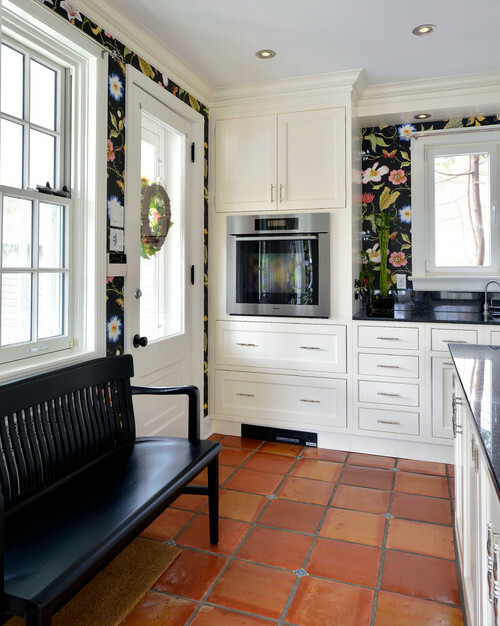 Use wallpaper to create an accent wall, or find a subtle pattern to decorate a whole room. The same goes for a new paint color; in both cases, consult a professional to learn the correct methods for application and to gain insight on complementing colors. 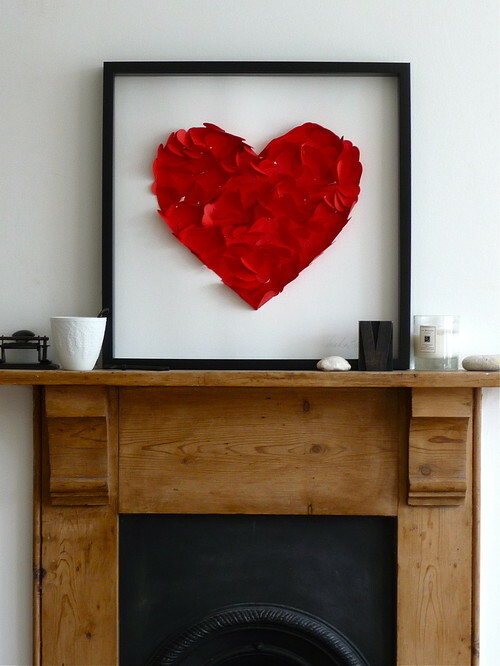 Gallery walls are an easy go-to for a blank wall, as chances are you already have photographs displayed around the house. Mix or match sizes, textures and even colors of frames to fill a wall with personal mementos. Take a look at some of our favorite gallery wall looks here. 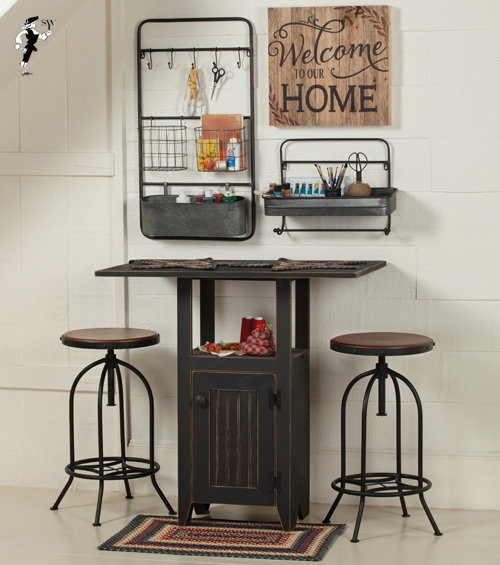 Especially in a hallway, mudroom, kitchen or small space, a blank wall can be helpful when there is not a lot of extra space for odds and ends. Wall hooks come in many sizes, shapes and styles for a variety of uses. Use a single wall hook for pet leashes or keys, and use multiple for backpacks, jackets and larger items. Cupboards provide a great storage solution for items you want to keep tucked away out of sight, or items you don’t need on a daily basis. 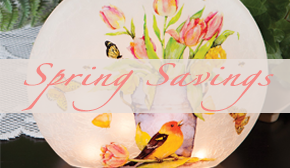 Adding these to a wall can clear up floor or closet space in your home while offering decorative appeal. Of course, your blank walls can be filled with seasonal decoratives that change throughout the year. Switch out holiday wreaths for metal wall art in the shape of a heart, add a St. Patrick’s Day sign and then decorate with spring prints and imagery, switch to Fourth of July decor and then to fall, and before you know it the holiday season will begin again. 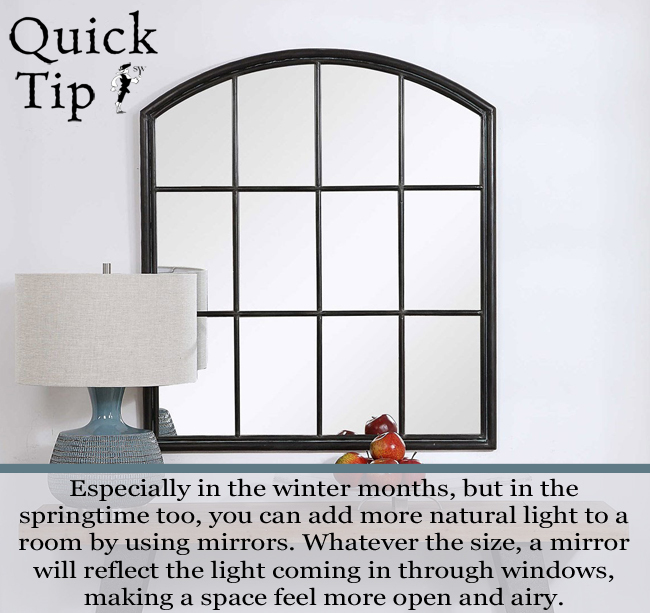 This is a great way to redecorate without making big changes to your home, which will exude a festive feeling all year long.